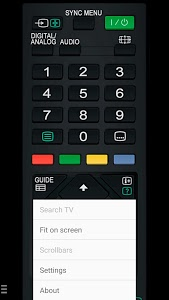 With this app "Remote Control for Sony TV" you can use your smartphone to control your Sony TV. 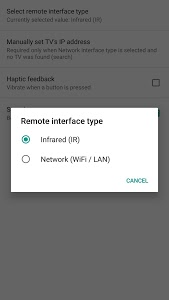 You can choose between network (WiFi / WiFi Direct / LAN) IP control or infrared (IR) control. Works on phones and tablets with built-in IR blaster (infrared port) such as Samsung Galaxy S series until S6, HTC ONE, LG G3/G4/G5, Xiaomi Mi / Redmi / Note, Huawei Mate / Honor and many more. No setup required. No WiFi required. It's ready to use (no need for pairing with the TV). - Tested on Samsung Galaxy series (S4 / S5 / S6 and Note phones and tablets excluding Galaxy S7 & S8 which do not have IR hardware) running on original Android 4.4+ firmware (not CM/LineageOS). - Please note that you must point your phone’s IR blaster directly at the TV. Usual working range is 4-10ft (1-3 meters, max ~5 meters). - With some phones in power saving mode or with almost empty battery the IR blaster might not work or range is less then 5ft (2 meters). ★ Network IP control (WiFi / WiFi Direct / LAN). 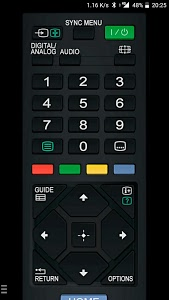 - Make sure the Sony TV that you want to use is turned [On]. - Make sure your mobile device and TV are connected to the same local/home network. 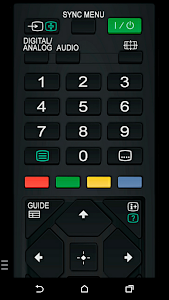 - When registering/pairing a Bravia TV, make sure that "Remote Device" / "Renderer" in the settings of TV is set to [On]. - If you have refused the registering/pairing confirmation message on your TV, then you can change your selection later in TV's settings (usually it's located at HOME / Settings -> Network -> Home Network Setup -> Remote Device -> Remote Device List). 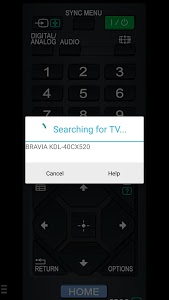 - If the TV was not found, then it is also possible to enter the TV's IP address manually. To find out you TV IP address go to TV [ Settings ] / [ Network ]. *KDL-W/WD, KLV-W Series (2016 model) are not compatible (except for KDL-W800D/W950D). *KD-X Series (2017 model) are not compatible. The purpose is not to replace the original TV remote, but this app is handy in emergency situations (original remote is lost, empty batteries etc). If this app doesn't work with your phone or TV then feel free to e-mail me (your exact TV and phone model). Then I can try to add support for your phone or/and TV model. This app is NOT affiliated with or endorsed by Sony Corporation. Sony is a trademark of Sony Corporation. - Fixed pairing with Bravia TVs. 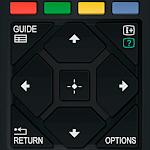 - Turn [On] the TV over network (when in standby and TV permits this function). 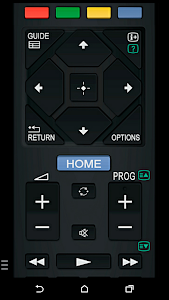 Similar to "TV Remote for Sony TV (WiFi & IR remote control)"